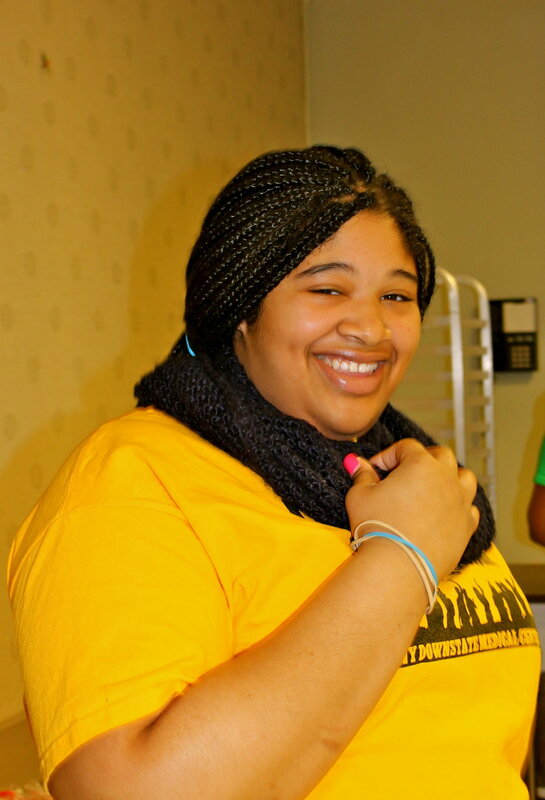 THEO is the peer leadership initiative of The Adolescent Education Program (AEP) at SUNY Downstate. THEO’s mission is to empower youth to achieve and maintain good health, set and achieve academic goals, and serve their community. THEO strives to prevent new cases of HIV infection, Sexually Transmitted Infections and unplanned pregnancies, while promoting healthy productive lives for young people. THEO has guided and nurtured the natural confidence and poise of young people for over twenty-five years. Peer-to-Peer teaching is not a new concept, however, at THEO, Edutainment (teaching without teaching) is a method employing a mix of education, interactive teaching and entertainment to reach youth with potentially lifesaving information. The young people mature into leaders with THEO and leave ready to demonstrate their brilliance to the world.